Clynelish 14 Year Old was first released in 2002. Its barley is still malted in the Northern Highlands and its water still piped down from Cynemilton Burn. The distillery although founded in 1819 was rebuilt and re-sited adjacent to the old distillery in 1967-1968 and is currently owned by Diageo. The Clynelish 14 Year Old appears yellow-gold with candle wax, sugar and a floral nose. On the palate orange peel, vanilla, smokey oak and leather. Edradour not only is the Smallest distillery in Scotland bit it is the last farm distillery and it also uses the smallest copper than any other distillery, producing only 12 casks of whisky a week with a three man team. The Edradour Aged 10 Years is matured in selected oak barrels for 10 years. It appears golden in colour with delicious sugary almonds and a hint of Oloroso Sherry on the nose. The palate displays toasted almonds, nutty with dry vanilla. In November 2003, Edradour Filled 10 Bodega Port Butts, which had been used for 20 years in maturing port. The malt was bottled in September 11, 8th release and comes from each no.376 and is unchillfiltered. The Port Cask Malt appears dark amber with a multitude of aromas, coffee, blackberry redcurrent, spice and gooseberries on the nose. The palate is sweet red fruit, clean and hints of coffee and spice. In December 2003, Edradour filled its first batch of sauternes hogsheads with new make Edradour Spirit, only 25 casks were filled. 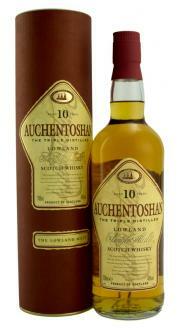 The malt was bottled in September 2011 with the release of only 1600 bottles. The Sauternes Cask Matured Malt appears rich golden, with a toffee, grape and pepper nose. The palate is rich with mango, raisins and pepper. Finishing dry oaky with great length. The Bordeaux Cask Finish has gone through a double maturation process, distilled initially on the 14th September 1998, matured in Hogshead Casks and then finished in Bordeaux Hogshead in May 2007, finally hand bottled on the 16th September 2011, with an outturn of 425 bottles aged 13 years and packaged in mini cargo crates. The malt appears dark honey in colour, with alcohol, spice and sweet toffee. The palate, creamy with red wine and dried fruits. The Moscatel Cask Finish has gone through a double maturation process, distilled initially on the 19th November 1997 and matured in the Hogshead casks, it was then placed in Moscatel Hogshead in May 2007, finally hand bottled on the 18th October 2011 with an outcome of 434 bottles, aged 13 years and packaged in mini cargo crates. 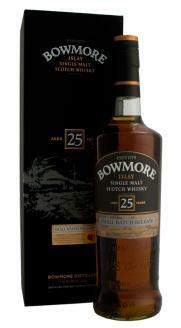 The malt appears dark amber, with red fruit, black forest gateau and menthol on the nose. The palate is full with rich strawberry and malt. Glen Garioch distillery established in 1797 is located just 17 miles from Aberdeen in the very North Eastern tip of Scotland. he whisky appears warm amber with sweet vanilla and subtle spice, combined with fruitier green apple and grapefruit on the nose. On the palate, butler cream and vanilla pave the way to fruity green apple skin and citrus with a clean, subtle finish. 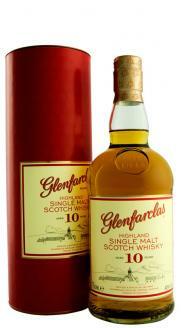 Glenfarclas 10 Year Old is matured in two different types of casks; Plain oak casks, used to mature Bourbon or Scotch Whisky, generally 250 litre hogsheads. Spanish Sherry Casks; used to mature Oloroso or fine Sherry, generally between 250 - 1500 hogsheads. The casks are stacked three high and are stored in a dunnage, undisturbed for a minimum of 8 years. Each casks can be refilled several times and if required, they can be recoopered between fills.